Playtech’s Age of the Gods slot game won Game of the Year at the recent Gaming Intelligence Awards and the news came as no surprise to many. When the software provider lost its right to produce games based on Marvel Studios characters after new owner Disney stepped and forced Playtech to remove some of its best games from their portfolio, industry experts wondered how the games developer would get over this challenge. However, Playtech has proven why it is such a successful and innovativee developer and it has managed to come back from this significant obstacle even stronger than before. As soon as it was confirmed to Playtech that all its games based on the Marvel superheroes would have to be removed, its team got together to think up a new series that could take its place – and the Age of the Gods series was born. This proprietary franchise has proven to be wildly successful since it was launched last year – so much so that five of the Age of the Gods slot games are among Playtech’s list of 25 top-ranking games. 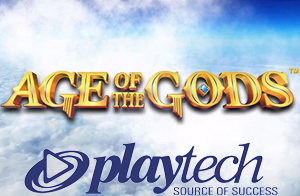 In fact, Age of the Gods slot and Age of the Gods: Olympus regularly outrank some of Playtech’s branded titles, which have always been bestsellers in its portfolio. The Age of the Gods slots series is the fastest-rising and highest revenue maker for Playtech, according to the latest numbers, and several industry records have been broken. The series has proven to be so popular, in fact, that some Playtech licensees have dedicated these games their own tab at their online casinos. The Age of the Gods series is based on Ancient Greek mythology and includes titles such as Age of the Gods: Goddess of Wisdom, Age of the Gods: Furious Four and Age of the Gods: Prince of Olympus. 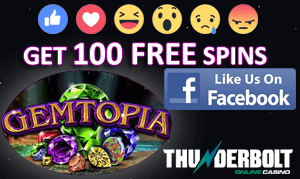 All the games in the series are linked to four progressive jackpot games, and have exceptional features such as free spins, wild spins and multipliers and more. Overall, it has been a very successful year for Playtech, with the group winning the poker and bingo supplier awards as well.